Clarke “Otter” McNeace, Vice President of Flight Training & Standards for Avi ation Performance Solutions, was invited by CAE Oxford Aviation Academy in Oxford, England this month to give a supplemental stall/spin awareness presentation specific to light twin aircraft. The presentation was conducted three times over the course of two days to allow a majority of the Oxford instructors and cadets to attend. 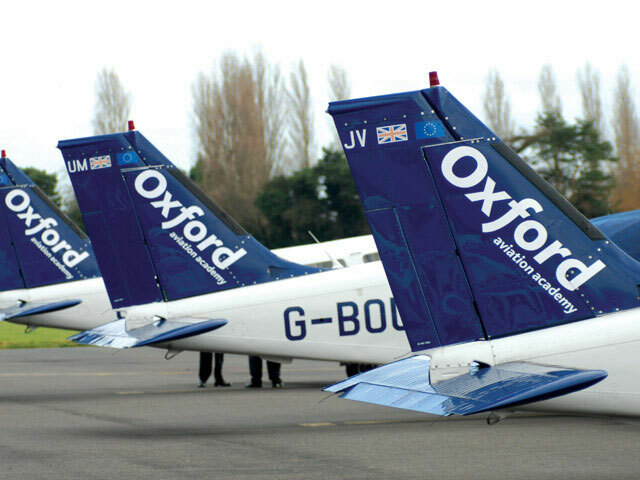 Immediately following the presentations, healthy discussions were held by all Oxford instructors as to the risks associated with doing aerodynamic stall training in a twin-engine aircraft. The presentation highlighted in clear terms the concerns and skills needed to mitigate a potentially unrecoverable loss of control-inflight event while conducting training in a light twin. These risks are what prompted CAE in September 2012 to require all Oxford flight instructors to attend a 3-day APS professional pilot upset training course.